Cancer is one of the danger disease and major cause of death of people. Breast cancer rarely happens in men than women. Cancer creates a huge impact on patents and families and those who are caregiver to the patients. In the case, Mary is 25 years old and have twin boys aged eight months. She has even limited contact with her partner and also with her family members. She used to contact with her family via using Skype. She has discovered a lump in her breast and diagnoses a breast cancer in her early stage. The report will discuss the risk factors which will be faced by Mary in this situation. Moreover, the report will also provide the protective factors which will be beneficial for Mary to handle this significant life event. The report will also discuss the responses which Mary will experience after this disease. In the whole report, the following words will be used such as support, quality of life, tat ion, anxiety, and disturbance in sleep in combination with breast cancer. Marry will letdown emotionally. Depression, tat ion, anxiety and fear are the common responses which are experienced by the patient in case of significant life event such as cancer. Moreover, family members and caregivers also have the same feeling. Mary will become emotionally weak and lower (Wang, et. al., 2014, pp-424). As in the case, she has been having less contact with her husband. Furthermore, she has also started less contact with her family after her babies. Mary will require a strong emotional support and help in order to reduce the symptoms of cancer and overcome the disease. There will also increase in vulnerability and sense of loneliness. She will also start feeling loneliness as she has less contact with her family. There will also decrease in the sense of control for Marry. Even after taking treatment by Mary she will be frightened about her certainty for life and future holds. She will emotionally become bankrupt and will require an emotional support to cope with the situation. Cognitive behaviour is more related to mood and ability of patients as per its functional activity. Those patients that get scared when they hear about any disease then they get less attention and even face loss of memory (Bender & Merriman, 2014, pp-10, 17, 19). Their psychomotor also start slowing. Mary will be having life threatening experience. If Mary will have poor pre-treatment clinical experiences then this will lead to lingering effects at the time of breast cancer surgery. Mary cognitive response will totally depend on her mood and past experiences and this can also be one of the major causes of taking the treatment to longer period. Disturbance in sleep is most common responses experienced by the breast cancer patients. Mary behaviour will drastically get change due to this disease. Secondly the symptom in breast cancer patients is fatigue (Karuga et. al., 2015, pp-281-286). Breast cancer patient also faces depression and poor sleep. Depression is comprised of feeling of hopelessness, helplessness, and sadness. Mary will face sadness and helplessness for her twin children. She will also start taking tat ion for the future of her children. Mary will also start sleeping less or she may face poor sleep. Poor sleep is a cause of depression, tat ion and worry. She will start taking stress and tat ion for her and children's future. Mary will also face the anxiety and start skipping food in her daily routine. She will also start ignoring to go at public places and will start scaring to go anywhere. She will get lost in her world of tat ion and will lose all hope and goals which were the part of her life before this significant event in her life. 1.The risk of depression is great in breast cancer patient. If the patients continue to take trouble and worry then it will contribute a greater risk of infection and decrease the chance of reducing the cells of cancer in Mary body. 2.Poor sleep, fatigue will lead to enhancement in inflammation (Bower, et. al., 2011, pp-3519). 3.Stress is also one of the risks in case of breast cancer patients. The greater immune deregulation is one of the risks due to stress (Miller, et. al., 2011, pp-960-961). 4.In case Mary will feed her children then cancer cell can also get transfer to them. This will possess the risk of same disease with her children. 5.Risk of change in cognitive function of Mary. If she is more sensitive and has a clinical depression or bad clinical experience then there are chances of arrival of cognitive issues. 6.Stress and depression for Mary possess a risk of delayed wound healing and increase in proinflammatory cytokines. 1.Mary can adopt a routine exercise which will be powerful medicine in dealing with cancer and it may even lead to change the post treatment symptoms. This will also prevent the recurrence of disease to marry. 2.Social support is one of the biggest medicine and protective factor in dealing in reducing the cancer-related symptoms in Mary. Mary requires a big support from her partner and family member. She requires support at each stage of this disease to increase her self-esteem and confidence in fighting the disease in order to reduce and overcome the disease as soon as possible (Karuga, et. al., 2015, pp-285). 3.Love, value and increase in esteem can only be possible with the help of family and caregiver. Mary's partner should take proper care and love to become as the main base of support for dealing with this situation. 4.Higher level of support has a chance of high improvement for breast cancer survivor. 5.She will require to regular conduct to a doctor in order to prevent recurrence and should also ask about her personal prognosis. A regular visit should be made to doctor after treatment. 6.She is also required to take some routine health maintenance steps as the breast cancer patients pose a risk of getting it again. 8.Friends of marry can also support by spending time with her talking with her and meeting her in regular basis. Being diagnosed for breast cancer and its treatment is a challenge for an individual emotionally and physically. Even after treatment, the women are found in situation of depression, exhaustion, fatigue and sleep disturbance. All this possesses risk for Mary to successfully achieve the removal of the symptoms of breast cancer. Mary requires taking protective actions to deal with her significant life event. Her family and partner support can play the biggest role in getting out from these diseases and back to her normal life. She is required to be more careful after the treatment to prevent its recurrence. Moreover, she will have to increase a personal control on her to deal with the situation even more effectively. All the risk factors are required to be considered while dealing with situation and for successful treatment. 5.Hsiao Y., Chou M., Fowler C., Mason J., & Man Y., (2010). “Breast cancer heterogeneity: mechanisms, proofs, and implications”.Journal of Cancer.Issue-1. Pp-6-13. 6.Karuga M., LeRoy A., & Fagundes C., (2015). 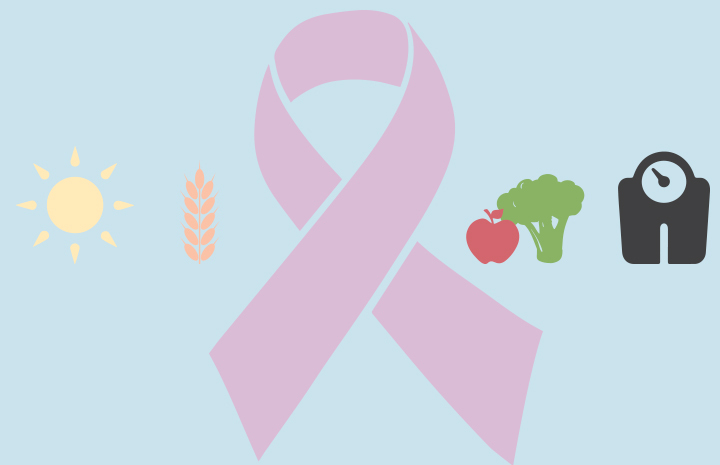 “Behavioral Symptoms after Breast Cancer Treatment: A Biobehavioral Approach”. Journal of Personalized Medicine. Issue-5. pp-280-295. doi:10.3390/jpm5030280. 7.Klein R., Brown A., Christian M., Castro G., Chambers S., Cragun J., LeBeau G., (2010).“Ovarian Cancer Metastatic to the Breast Presenting as Inflammatory Breast Cancer: A Case Report and Literature Review”. Journal of Cancer.Issue 1. Pp- 27-31. 8.Laamiri F., Bouayad A., Hasswane N., Ahid S., Mrabet M. & Amina B., (2015). 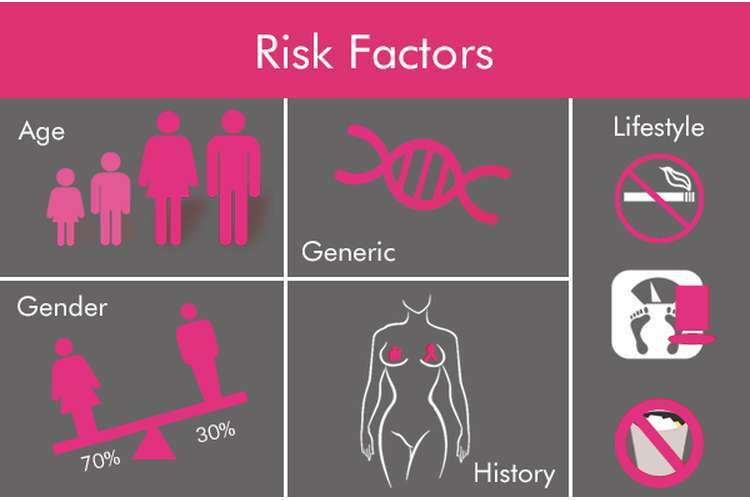 “Risk Factors for Breast Cancer of Different Age Groups: Moroccan Data?”. Journal of Obstetrics and Gynecology. Issue-5. pp-79-87. DOI-org/10.4236/ojog.2015.52011. 11.Wang, X.S. ; Zhao, F.; Fisch, M.J.; O'Mara, A.M.; Cella, D.; Mendoza, T.R. ; Cleeland, C.S. (2014). “Prevalence and characteristics of moderate to severe fatigue: A multicenter study in cancer patients and survivors”. Cancer. DOI- 10.002/cncr.28434. Issue-120(3).Pp-425-432.